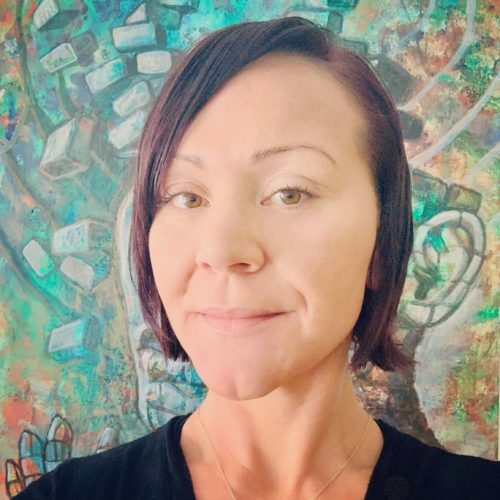 Cristy Harper is originally from Victoria, BC, Canada, where she began her studies in Massage Therapy in 2003. Cristy and her husband Justin made Winnipeg, Manitoba their most recent place to call home in support of her husband’s career in the Canadian Armed Forces. They are proud to support their country, and look forward to each move as an opportunity to grow and learn and embrace what each Canadian city has to offer. Neuro-functional Acupuncture in 2015 at McMaster University, has joined Tom and her colleagues for 2 human anatomy dissections in Tempe, Arizona, and has extensive personal experience in natural bodybuilding, strength, and conditioning. Teaching has always been something that she knew she would pursue. This past year Cristy traveled extensively assisting Anatomy trains teachers in Canada, USA, New Zealand, and Australia. Cristy hopes to continue to inspire the next generation of bodywork and movement professionals, teaching the Anatomy Trains Structural Essentials in Canada, and abroad, when the opportunity presents. “Don’t ask what the world needs. Ask what makes you come alive, and go do it. Because what the world needs is people who have come alive.” Howard Thurman.